We pay a price when we let other countries set our pace. One day Donald Trump includes India in the list of those “who are robbing America” and threatens to levy high taxes on “thousands and thousands” of Indian motorcycles imported into America. This was when India cut duty on the glamorous Harley-Davidson from 75 per cent to 50 instead of the 0 per cent Trump wanted. Another day Trump praises India and green-lights the sale of unmanned aerial combat vehicles to India, a deal that was previously denied. These missile-firing drones have a sea variant reputed to be effective in coastal defence. No doubt, they can be decisive in beating back attacks such as the 26/11 terror strike in Mumbai. Is India expected to cringe when Trump threatens it, and feel elated when Trump flatters it? Our concern should be not that this is a man the world mistrusts because of his unpredictable mood shifts; our concern should be the assumptions that are taken for granted, seemingly by all, in US-India dealings. The American turnaround on the sale of hi-tech weapons such as the drone is a case in point. This looked like a systemic shift rather than a Trumpian twinkle. Nevertheless, India needs to be cautious for at least three reasons. First, America now recognises India as a full partner in its defence strategies and considers this as an “upgradation” of India. 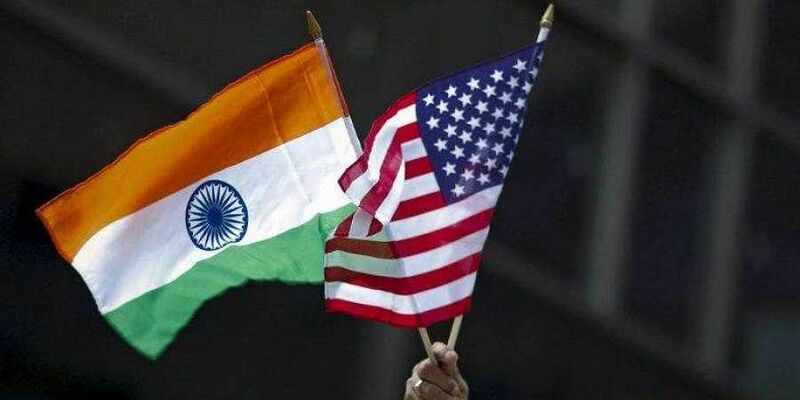 Second, Delhi sought a favourable nod from Washington before moving to buy an anti-missile defence system from Russia. Both these factors are linked to the third: Washington’s eagerness to block China’s growth as a world power. Barack Obama’s America had formally accepted India as a “major defence partner”. But the partnership gained muscle only when Trump moved India into America’s tier-I list of countries to which sensitive weapon systems could be exported without special licences. Trump has repeatedly stressed India’s importance in what he calls the Indo-Pacific region. This recognition led to Washington waiving its sanctions provisions and thereby enabling India to buy Russia’s 39,000-crore air defence missile system. What does all this really mean from India’s standpoint? It is easier to see what it means to America: It opens a big market for American weapons and gets a major regional power to be involved with American defence policies in the region. There could well be a section of Indians who see it as a sign of progress when (a) America upgrades Delhi to tier-I for military sales and (b) permits Delhi to buy Russian weapons. Other sections may see it as demeaning when (a) India is expected to feel good about upgradation for purposes of buying American weapons and (b) sanction-scared Delhi seeks American permission to buy Russian weapons. Both schools will have to see as unacceptable the extent to which India is dependent on other countries for its essential defence needs. The proud exhibit on our weapons front is the Brahmos missile. But 65 per cent of it consists of imported components. INS Vikramaditya, the pride of the Indian navy, was formerly a Russian vessel mothballed because of age. Arihant, our first “indigenously built” nuclear submarine, took in extensive help from Russia. HAL, a competent public sector company, has received discouragement from successive governments. Its Tejas aircraft has been waiting for decades to get operational clearance. Its plans over Rafale jet fighters fell flat when the project was taken out of its hands and given to Anil Ambani’s company. Last year an Indian-made rifle was rejected by the Indian Army. Even bulletproof jackets made in India are unpopular with our defence personnel. Despite a long history of defence research, proud achievements in rocket science and slogans like Make In India, India remains the world’s largest arms importer. When America recognises as a “major defence partner” a country that cannot produce even a rifle, it is clear that it sees India as a profitable market for its pricey weapons. In the process India loses opportunities to develop foreign policy, especially China policy, for India’s benefit as distinct from the benefits of “Indo-Pacific”. China is currently producing weaponry so sophisticated that the US has started to worry. India need not have been left so far behind. The achievements of its space programme and of its scientists in Silicon Valley point to the talent available to India. But the defence ministry is manned by IAS generalists while the country is at the mercy of parties and politicians who put their interests above the nation’s. How can one get more than what one deserves? I have been screaming this from the roof tops fore decades. India is hamstrung by its own suicidal Reservatons (incompetence) - Corruption (Extortion) Constitution, laws, policies and malgovernance. Its not reservations that is the bane of India. It is the caste system that you and your ancestors perpetuated excluding millions from the mainstream. You and your folks monopolized knowledge, lived off the labour of others, have done no work except manipulating people. If you want reservations to end, get your daughters or sisters married off to dalits and give them the so called sacred thread. Then talk otherwise shut up and just do labour for your White Masters in Europe and America. The Title is misleading. Instaed of 'Start with how to make a Rifle', it should have been, 'Start with how to adopt a rifle'. Its not like we lack in innovation and design, but what we lack is the lack of trust in indigenous system by our forces. This has lead to minimum interest by private entities, which are by the way highest weapon manufacturer in US. Once our armed forces would break the shackle, government would be bound to pave the way and home grown players would be coming to join the party for sure. TJS George at his best!